VCS VCS – We manufacture all types of vehicles ranging from front line Accident and Emergency vehicles to small minibus conversions. We manufacture all types of vehicles ranging from front line Accident and Emergency vehicles to small minibus conversions. Our engineers have extensive automotive design experience from Ambulances to Security Vehicles and Coaches. Research and Development is a key ingredient to the success of any organisation. Homologation is a technical and legal erm used to describe the achievement of approvals and standards. The process manual is designed around the agreed engineering protocols before launch. VCS is one of the most technically capable and advanced specialist vehicle convertors in Europe. 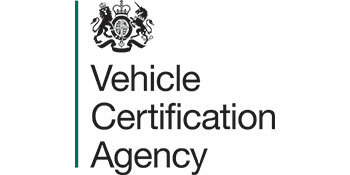 Operating from a 48,000 sq ft. purpose built facility, the VCS management and shareholders were able to create and bring together an unrivalled team of designers, engineers, production specialists, business managers and dedicated and skilled workforce to ensure a seamless process for clients to have the vehicles of their choice and specification, built to the highest standards, on time and on budget together with a “Platinum Level” of aftercare and ongoing support. The business model of VCS is structured similar to OEM vehicle manufacturers and differs from conventional specialist vehicle convertors. Due to the business model adopted at VCS it allows our technical development and engineering teams to achieve almost anything for the end user. VCS continue deliver to the highest standard. Our experience with VCS is always a pleasant one – great workmanship and customer service.